Barbara Hashimoto’s visual and performance work has been exhibited throughout the United States, Japan, Europe, Mexico, and the Middle East. It is in more than 300 collections, including The Smithsonian Institution’s Museum of American Art, The Art Institute of Chicago's Joan Flasch Collection, The Museum of Arts and Design (New York), and The National Museum for Women in the Arts. Previously based in New York, Tokyo, and Los Angeles, Hashimoto currently maintains a studio at Mana Contemporary, Chicago and is a Principal at the Chicago architecture firm, Bauer Latoza Studio. Educated at Yale, she was also apprentice to Junko Yamada (Saitama Japan) and artist-in-residence under “intangible cultural asset” Minoru Fujimori (Shikoku, Japan) and at Umdang Ceramics (Dan Kwain, Thailand.) She studied dance in New York with Merce Cunningham and Meredith Monk and butoh in Tokyo with Iwani Masaki. Though the role of materiality is significant, Hashimoto’s work is researched-based and conceptually driven. Working in a broad array of media, she is particularly known for both her ceramic- and paper-based work of intimate scale as well as and her expansive environmental art projects embracing activism and community engagement. She has had solo exhibitions at the Musée du Montparnasse (Paris), Gallery UNO Projektraum (Berlin), Ruth Bachofner Gallery (Los Angeles), Dorothy Weiss Gallery (San Francisco), The Kohler Art Center (Sheboygan), Dubhe Carreño Gallery (Chicago), and more. Her work has been featured in exhibitions at The Smithsonian Institution, Museum of Arts and Design (New York), Paul Kopeikin Gallery (Los Angeles), Center for Arts and Visual Culture at The University of Maryland (Baltimore), Limbus Gallery (Tel Aviv), The New Gallery at Teddy Stadium (Jerusalem), LA Contemporary (Los Angeles), Galerie Paris (Yokohama), 2B Gallery(Budapest), Galeria Z (Bratislava), Galerie Kurt im Hirsch (Berlin), Galería Ajolote Arte Contemporáneo (Guadalajara), Santa Monica Museum of Art, Laguna Art Museum, Craft and Folk Art Museum (Los Angeles) and in the following museums in Japan: Mito Modern Art Museum, Tokyo’s Ueno Royal Museum, Hokkaido Modern Art Museum , Fukuoka Museum, Gifu Museum, Shiga Museum, and Nagasaki Museum, among others. 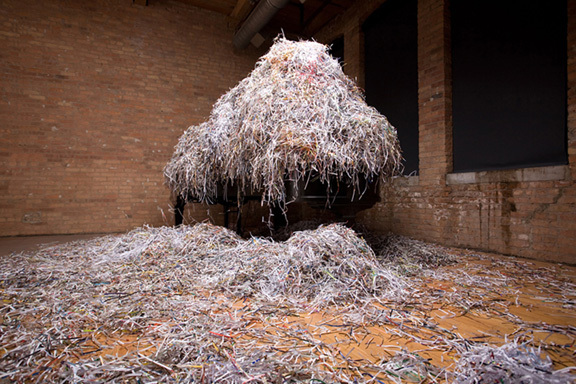 Reviews and articles about Hashimoto’s work have appeared in Art in America, Sculpture Magazine, Art on Paper, The Los Angeles Times, Sculpture Magazine, Chicago Tribune, The Christian Science Monitor, World Sculpture News, ArtScene, L.A. Weekly, Bangkok Post, Asahi Shinbun, Jerusalem Post, Chicago Reader, and other publications. Her work is featured in Emmanuel Cooper’s Contemporary Ceramics -- International Perspective and ISC Press’s The New Earthwork.